Let’s begin by establishing the fact that if I could sustain on cookies for the rest of my life, I think I would. At first, when the frozen yogurt place that used to be on Mass St. closed, I was very sad. But like a beam of sunlight, a cookie shop filtered through the sugary clouds and once again, I have a go-to place for treats during the day. 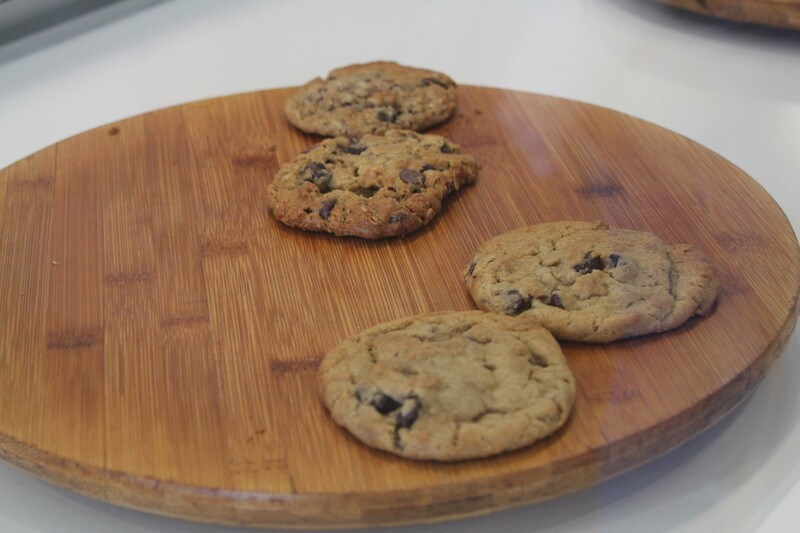 Cookies at Hot Box are warm and gooey with that fresh-out-of-the-oven taste. I haven’t tried all the flavors yet, but the chocolate varieties are top notch. 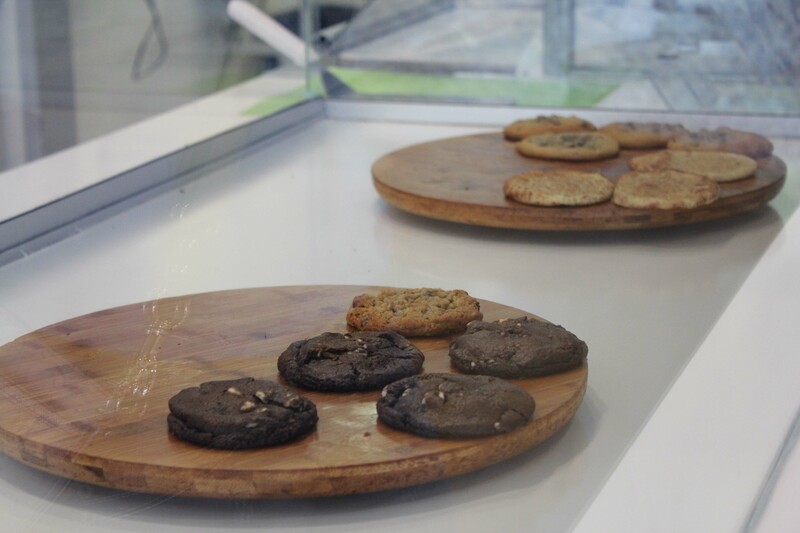 Don’t bother reaching for these delectable delights, they’re on a lazy Susan for your convenience. There’s a lot of yummy cookies on there, but my eyes are on those chocolatey ones up front. 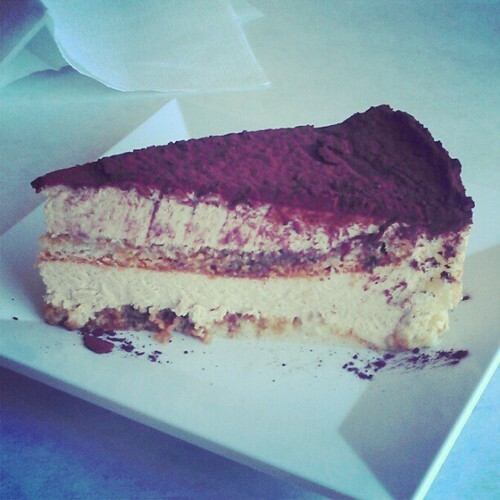 The only proper way to end 2013 is with chocolate cake from Pachamama’s. When it comes to dessert, I say go big or go home. Don’t bother with Stevia or sugar substitutes, using gluten-free anything, low-fat whatever or anything with the word “skim” on it. Bring on the full-fat, full-sugar madness and don’t leave anything out. 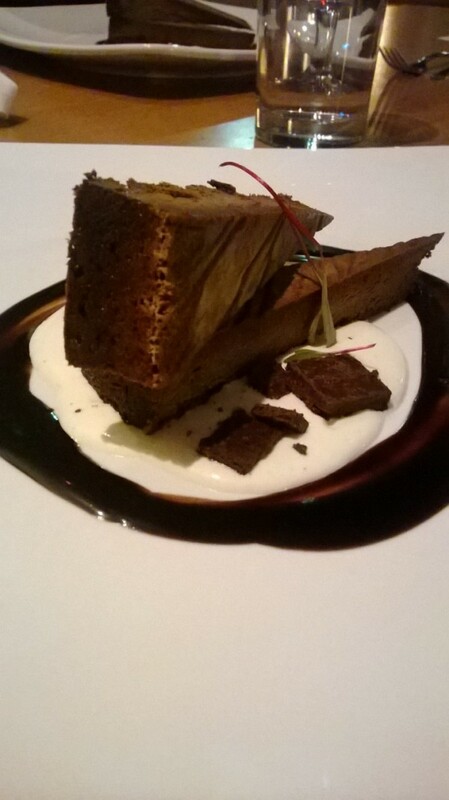 But at a New Year’s Eve dinner at Pachamama’s, I had a flourless chocolate cake. As a novice baker, I thought, ‘How could this be?’ Turns out, it doesn’t matter: This cake was the cake of all cakes in all its cakey, cool, almost fudge-like texture and I don’t care why or how this decision was made (though not to mislead, leaving out flour isn’t always for health reasons). I can’t think of a better way to end 2013 than with the best chocolate cake. You’re a great berry but I’ve never gone on a hunt for you until this weekend. 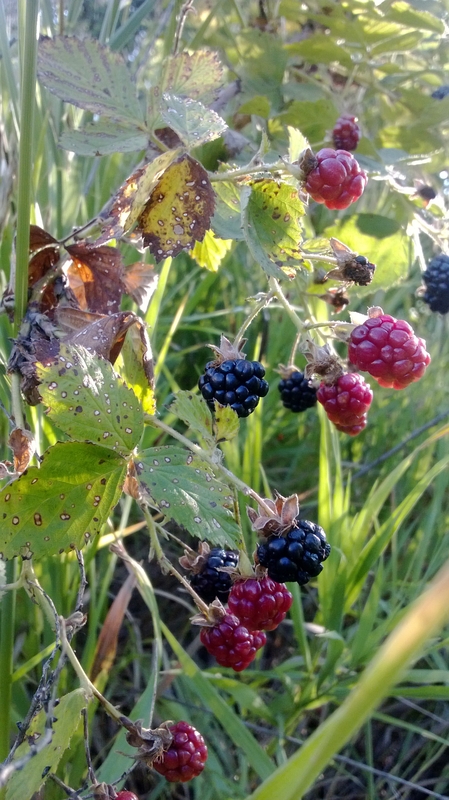 We woke up early (very, very early) on a beautiful Sunday morning, and spent hours maneuvering around heaps of bushes and thorns to pick the ripest blackberries Kansas land could offer. Tangy yet sweet, these fresh-off-the-bush berries leave the bloated, store-bought kind in the dust. But what do you do with so many blackberries? Pies, of course. 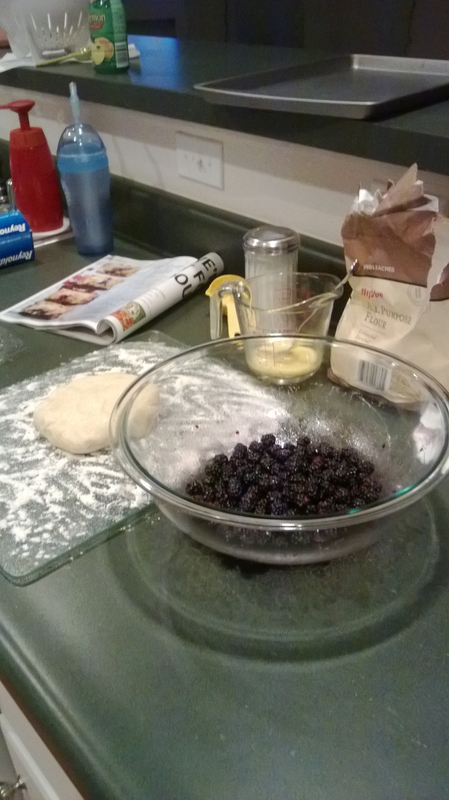 I saw a recipe for blueberry hand pies and decided that blackberries could easily be a delicious substitute. Sugar and lemon? Yes. Handmade pastry dough? Bring it! This was my first personal, farm-to-table, made from scratch baking experience. And, it’s awesome. Thank you, blackberries. I’ve lived all the life I can live.